Akeeba Backup is the successor to the now famous JoomlaPack component. In a nutshell, Akeeba Backup is an open-source backup component for the Joomla! CMS, quite a bit different than its competition. Its mission is simple: create a site backup that can be restored on any Joomla!-capable server.. 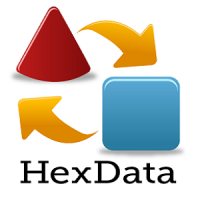 If you intend to transfer information or parts of your site's database to another site, the HexData plugin is an appropriate option. This plugin includes a component and several different plugins that each support a specific section. For example, the k2 plugin for backing up k2, the menu plugin for backups from the menus, the article plugin for backing up the contents, the module plug-in for backing up the module settings, the user plug-in for backing up users. You can now download this awesome plugin from online anchor.